Put your sweaty hands in the air if you’re enjoying the long hot summer. Actually, put them down again quickly thanks, it’s far too hot for that kind of thing. Everything is not always 100% rosy in the Garden of Twickenham but we hope we have a suitable quantity of good news to compensate for the less good bits in our sizzlin’ summer 2018 Twickenham High Street Update. It’s scorchio! The Ben Thanh Vietnamese restaurant on York Street closed a while back. Did you ever go? Ah. It was another place where we run the risk of overusing the term ‘short lived’ to describe it even though that’s exactly what it was. In its place comes… drumroll…. The Meat Room. 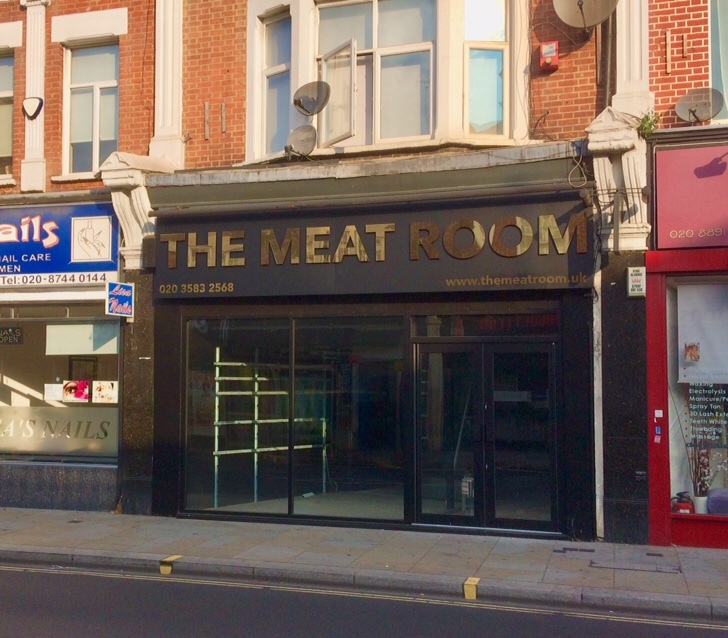 At least it’s not called “The Meating Room” because that would sound pretttty weird, right? It’s actually a new butcher’s shop which already has a couple of branches in the Midlands. It will also sell online too. For those lamenting the demise of the Laverstoke Park Farm butcher on King Street, this could be for you. Chop chop. The former Citizens Advice Bureau building on Heath Road has been empty since the short-lived (damn! said it) occupancy of High Road Auctions ended but is now open again as a Crown Paints Decorating Centre. Whether this is a long term plan or just dipping their toe in the paint pot we’re not sure but it does fit with the Council’s Twickenham Area plan which advocated Heath Road becoming some kind of DIY and decorating wonderland. With Screwfix, Machine Mart, D&M Tools and assorted other businesses in very close proximity it’s a plan that seems to be coming to fruition. Functional rather than decorative perhaps? Or maybe both. On Church Street we say goodbye Lovers Lights Gallery which has closed its store but is still selling handmade glass, ceramics, jewellery and other craft items online at loverslightsgallery.co.uk. Two doors down the Delhi Durbar has served its last chicken madras with pilau rice. It’s been closed for a while. Here at Twickerati HQ we always regarded it as one of the better Indian restaurants in Twickenham but even with the Delhi Durbar gone you’ve still got plenty of choice. Meanwhile the Chuba Rasa Malaysian restaurant on Heath Road has also closed but you can still order online. And by the way, don’t forget that many of the restaurants in Church Street are doing the al fresco dining thing from Thursdays to Sundays until 2nd September. 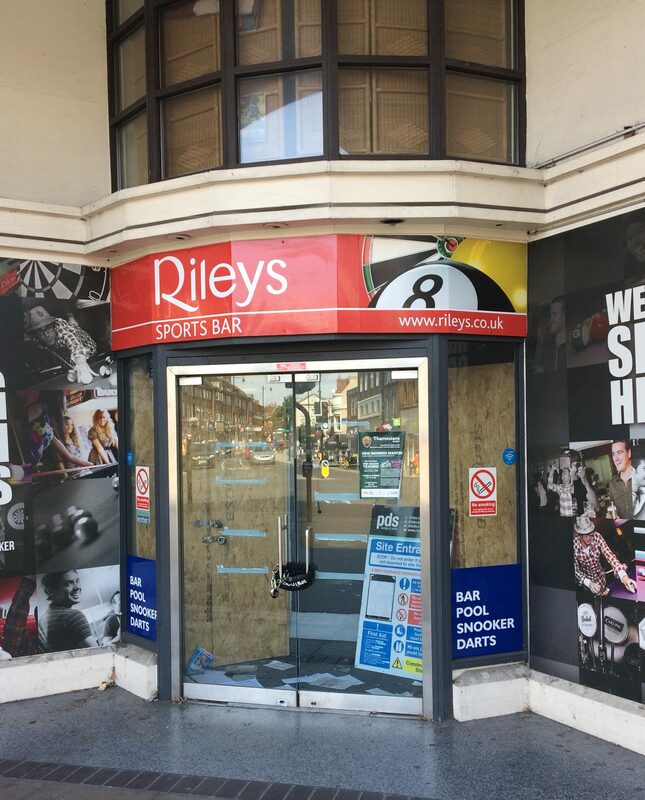 Talking of levels of ‘shutness’ Rileys Sports Bar has been closed for a few months. Their Facebook page says they had a flood earlier in the year and that it’s taking a while to get the remedial work completed before they can re-open. A posting in July says they are still working towards getting back to business soon so we hope it’s a real refurb and not one of those special Twickenham refurbs we sometimes mention on here. On Heath Road there is a new outlet for locally produced crafts, gifts and ‘artisan’ products. 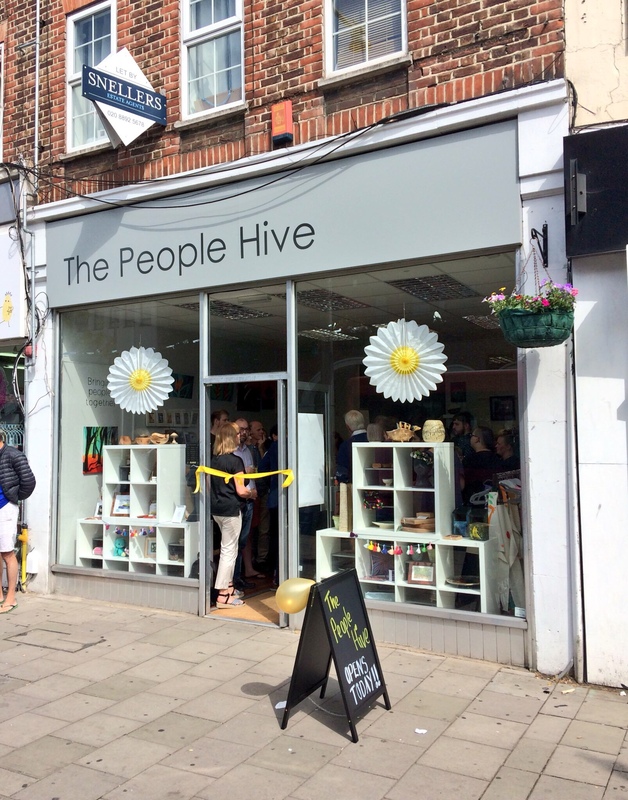 It’s called The People Hive and sells a range of items from honey to ceramics to soap to knitted products. It’s raising funds for the charity RHLT which supports local people with learning disabilities. Drop in. 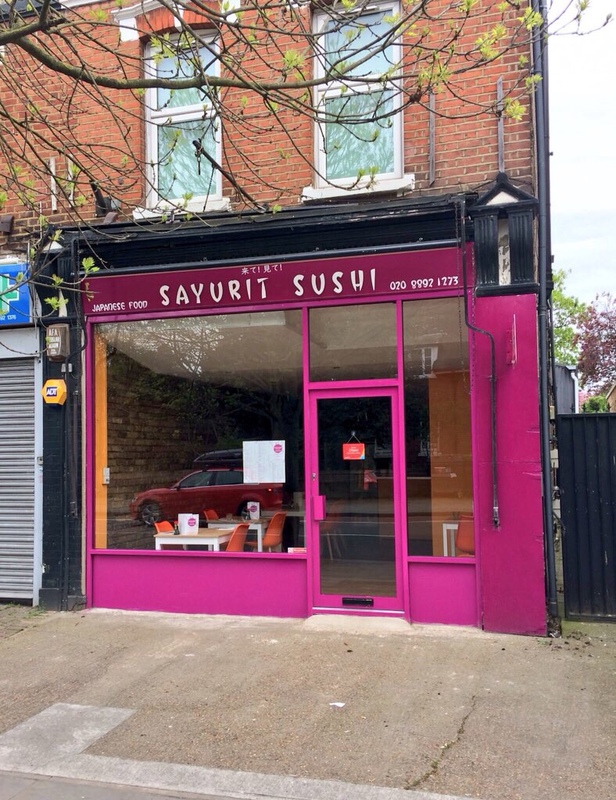 Sayurit Sushi opened a few months ago on Richmond Road and brings the total number of Japanese eating places in Twickenham to three. Umi (York St) and Ke Sushi (London Rd) being the others. It’s where the Marble Hill Tandoori used to be, just along from the Royal Oak pub and is more ‘cafe’ than full blown restaurant. 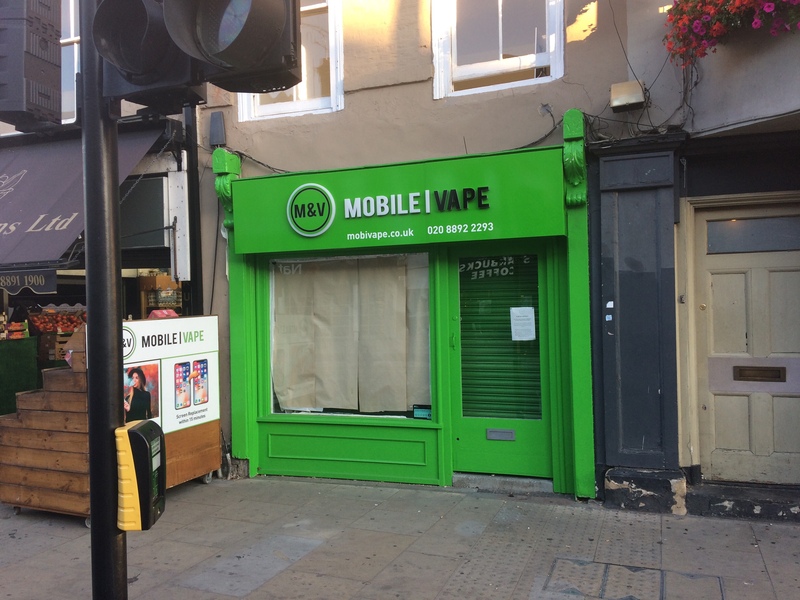 A new mobile phone accessories and vape shop is set to open where the Cavan Bakery and, a long time prior to that, Wishbone Butchers was on King Street. It’s called Mobile Vape or possibly M&V depending on which part of the sign you read. Smoking used to be cool didn’t it? Think Humphrey Bogart; Lauren Bacall; Dot Cotton. Not anymore it’s not. Times change. There’s nothing cooler these days than walking around staring down glumly at your phone in a cloud of candifloss smelling white fug. At least it’s less unhealthy than good old fashioned proper fags. In other news, there’s a new dentist that you might want to check out. St Margarets Dental is on St Margarets Road in… well you get the idea of where it is. The Canteen on London Road is looking a tad on the closed side. It seemed to be closed more than it was open which is not a great way to build a reliable customer base. Something that got a mention in the comments on a previous update but which you might have missed was that the former Belmont Bakery on Queen’s Road has been converted into a swimming pool for babies. Yes really. It’s called First Swim and as its website says: “Baby swimming, grown up coffee”. It’s a whole scene, apparently. Like Steampunk for new parents. Maybe. And something else that we had failed to notice FOR A WHOLE BLOODY YEAR is the arrival of estate agent Hamptons International in Twickenham next to Sandys and the news(ish) Nando’s. With the likes of Hamptons, who tend to specialise in the upper end of the market, now in Twickenham it can surely only mean one thing. We’re all posh now? Nope. A house price ‘correction’ is on the way? Could be. Hurrah! Remember that you read it here (four hundred and ninety) first, folks! UPDATE: A couple of things mentioned in comments below that we’ll now add to this. Twickenham Discount Store on Heath Road has now closed meaning that you’ll now need to go elsewhere for washing up bowls, folding plastic baskets, toddler pee podiums and all those other things that you can’t easily find elsewhere. 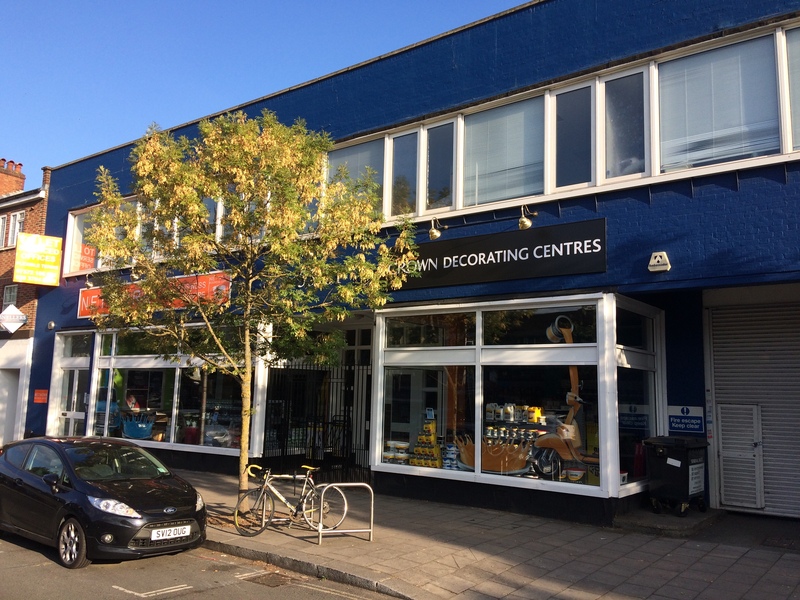 The posh paint shop Decorate on Heath Road is now open again and re-branded as Callaghan Interiors and focusing more on kitchens than tins of Farrow & Ball which is more in line with their main showroom in Hampton Hill. That’s all for now but stay tuned for more exciting news from downtown Twickenham. Now go and enjoy the summer. Previous Previous post: Gigs. How Was It For You? The licensing application for the East Stand development and beyond has been approved by the Council. There are a few conditions, one of which is that they can only run one major concert on a school night (not Saturday). So I guess that Elvis concert (ref Andrew) could go ahead any day of the week! Its Now or Never… In the Ghetto. Looks as if electric charging points are being installed in York House carpark? Loss of several parking places. Wonder how much it cost the taxpayer? Haven’t been up there lately but I’m hoping to pop into Woolworths on Saturday if I have the time. Great update – loved the part on DIY Wonderland lol! Riley’s isn’t ever coming back, is it? A real shame as it offers something that isn’t available anywhere else in SW London. Any idea what’s happening with Palm Grill? They seem very closed. Shame since in this weather their milkshakes would go down a treat with all the kids trying to fill their summer holiday days. Seems to open intermittently. Saw some people going in there a few days ago and they did not look like management (or the receivers). As to whether they got much beyond the entrance, not sure. There is a new Chinese restaurant/cafe called “Sweet Diner” on Heath Road, opposite the old Jun Ming site. They’re not licensed but welcome BYOB (“Bubbles” next door sells cold beer and wine) and they do takeaways. The food is brilliant. And there is a(nother) new kitchen showroom further along from Ruben’s where Farrow & Ball used to be! That’s Callaghan Interiors. The previous “Decorate” shop was their too but it’s good to see they’ve re-branded and re-opened. I’m suprised that the late lamented Haweli opposite St Margarets station has not been replaced by another takeaway. Good update. Canteen has been gone a while now, while opposite the Palm Grill looks like it may have served its last grilled palm, though I doubt that was ever a specialty. Can two vaporiums prosper in Twick? Time will tell. Has anyone been in the Nandos? The chicken teen crowds certainly haven’t materialised. The munchkin pool is doing a roaring trade, there was a gap in the market for that. Am I seeing correctly, or has the much heralded Bunnings from Down Under changed its name back to Homebase which it replaced earlier this year? Short lived indeed. According to Bunnings website ‘Bunnings has rebranded as Homebase’. Anyone know if the store has physically changed or if the prices have been ramped back up? I went there last week and it was still Bunnings then, not sure if it’s changed already. Shame as it’s really good – much better than Homebase was! There was a big shiny new Homebase sign over the entrance last thursday surrounded by the darker green of bunnings. A DIY mashup? For those who don’t read the FT, Bunnings takeover of Homebase was one of the most unsuccessful takeovers in corporate history. They’ve been forced to sell all the stores for a quid to a company who is rebranding everything as Homebase. Bunnings was awful. A huge dark warehouse when all you wanted was a tin of paint or a lampshade. Whitton High St is superior to Twickenham. Central parking,public loos and compact. You can get a lot done in half an hour on your Richmond Card. Heath Rd., is too long and sprawling. Convert empty shops into affordable studio flats that are desperately needed. Andrew: take away all those shops, and get a massive decrease in money to the council!! you’re even more clueless than Boris!! 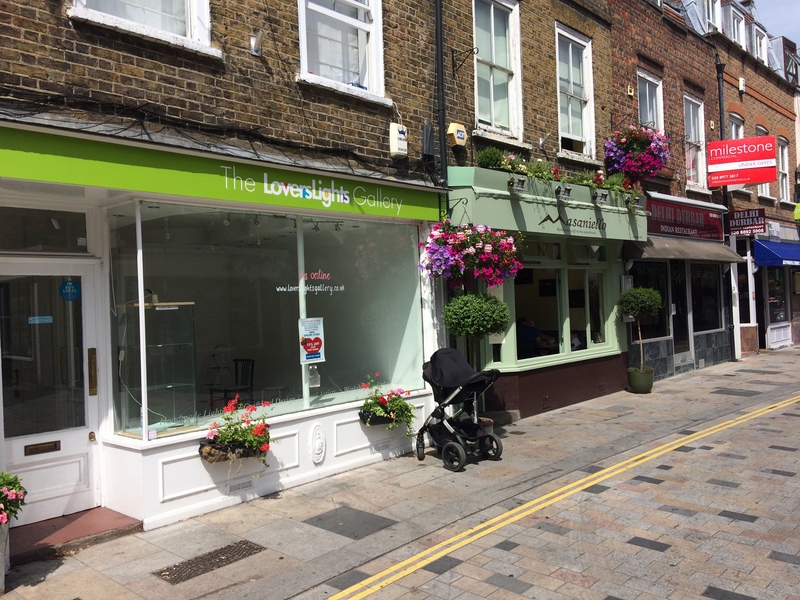 I will bet the reason Whitton High St is superior to Twickenham, is the business rate are much lower, so small shops can afford to keep going..
Business Rates are set by the Government on the ratable value of the premises. They are high in Richmond Borough as the cost of land and premises is high here. The recent increase in Business Rates was to Government defurring the last cycle of re-evaluation. Although this helped business at the time, it has resulted in a jump in Rates for some when the deferred re-evaluation occurred. Although Rates are collected by local councils, sadly they have no role in setting them and all the Rate money is passed to the Government. This will change in 2020. Sadly footfall is decreasing due to the rise of internet shopping giving way to more ‘service’ type shops. Unless consumer trends change this will continue changing the high street. Consumer spending is also decreasing. If you value the high street shop local when you can. Charity shops are given a 80% business rate relief by Government. Colin, thanks for a very clear summary of the challenges facing the ‘high street’. It confirms that adding more retail space every time there’s a new development will not work unless there’s a significant new attraction to draw people to Twickenham. That I’ll leave to the Twickenham Riverside Park Team. If only we had a real attraction to draw residents and visitors to the town centre (rather than more rfu events and empty retail space). Now, what might might we have? Trp: how about some good clothes shops, good electrical shops, etc like hounslow has?? they have a much lower business rate..
People keep forgetting,charity shops get cheap rates, that is why so many of them!! Sadly, charity shops are on the demise in Twickenham. Fara now closed, Scope, Princess Alice and the odd one which is where Nail Plaza is have all closed due to lack of footfall and other assorted reasons. Reply to Robyn. Princess Alice shop very much alive. It just moved from where the Costa is now (London Road) to new premises on Heath Road. PAH actively opening more shops throughout its catchment area and funds raised via them account for increasing proportion of budget while government fails to re-fund the savings the hospice movement makes for the NHS. Sad to see Twickenham Discount Store has closed down. Nice couple running the store but couldn’t sustain increasing rent and obscene business rates. Bit of a pipe dream but I think some of the shops that appeal to the red trouser brigade in Salcombe/Rock etc could do well in Church St – they are often quite small and there is a crossover with the rugby clientele. Some of them (eg Joules, Fat Face) have children’s ranges that might sell well to locals. They could even open an outlet (ie discounted previous season) branch, knowing Twickenham shoppers’ love of a bargain (cf. Poundland and the Works). Having these brands here might then attract others? ?